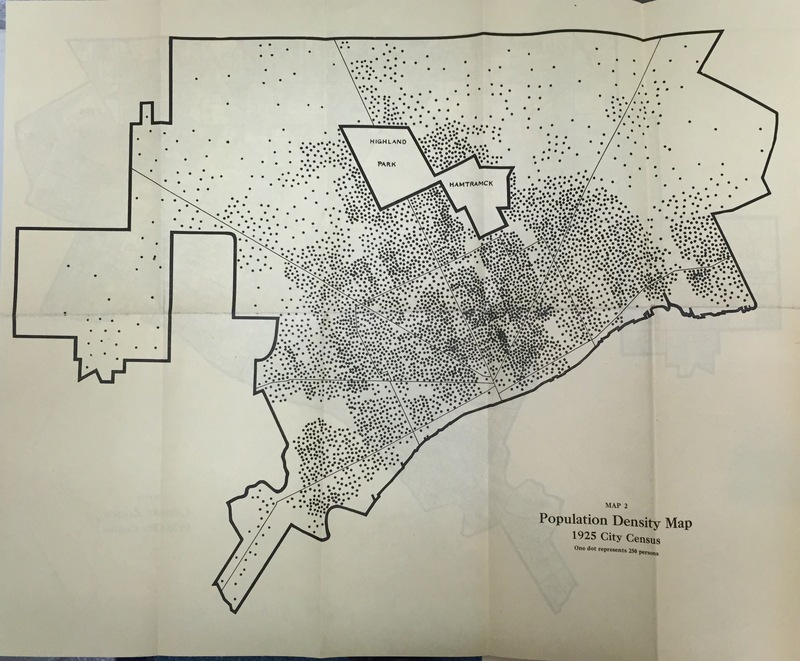 This excellent dot map was published in “The Detroit Educational Bulletin” Research Bulletin No. 9 – October 1925. The report gave population totals for each of the 570 Census zones (now called Census Tracts). remains from the numerous Michigan state censuses?